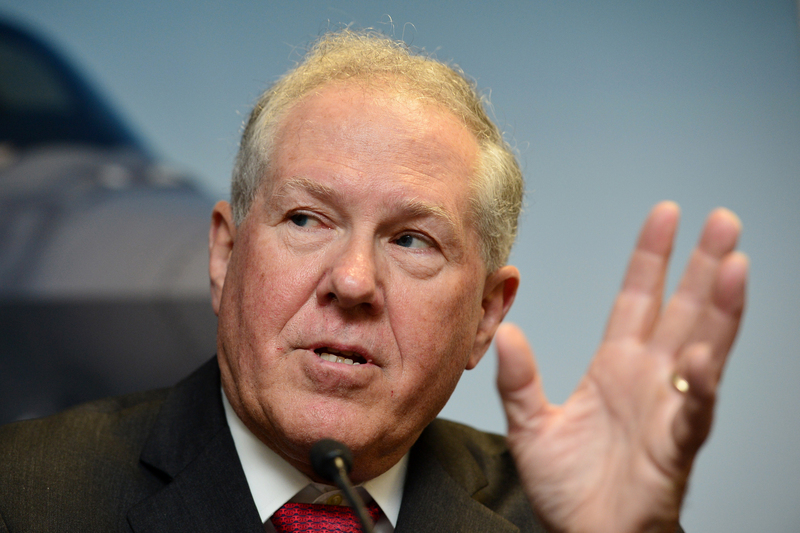 The former Pentagon chief says intercontinental ballistic missiles are not essential to the U.S. deterrent, worries about the risk of nuclear terrorism, and advocates a “major push” on the [CTBT]. William Perry is the Michael and Barbara Berberian professor emeritus at Stanford University and a senior fellow at the university’s Freeman Spogli Institute for International Studies. He was secretary of defense from 1994 to 1997, having previously served as deputy secretary of defense and undersecretary of defense for research and engineering. He is the author of My Journey at the Nuclear Brink (2015). Perry spoke by telephone with Arms Control Today on December 8, 2015.Much of the conversation focused on the current impasse in U.S.-Russian relations and the nuclear weapons programs in those two countries. The interview was transcribed by Elizabeth Philipp. It has been edited for clarity. ACT: In your book, you write that Russia’s ongoing and planned production of new nuclear delivery systems is likely to motivate Moscow to test new warheads for its new missiles and that you expect it to withdraw from the Comprehensive Test Ban Treaty [CTBT] soon and begin those tests. Can you elaborate on why you believe that to be the case? Perry: First of all, let me say that I don’t have any inside information from anybody in the Russian government. That’s not what my point was. It’s just that I know they are developing new nuclear weapons. They’ve said so themselves. I’m confident that that will lead the weapons designers to request new tests. That will put [Russian President Vladimir] Putin up to a decision. He will have to decide whether to allow that or not. I don’t know what that political decision will be, but I do believe that the pressure to test will be strong. So it will come down to a political decision on Putin’s part. Will he accept their recommendations, or will he think the political costs are too high? One of the reasons the political costs will not be as high as they should be is because we have not yet ratified the CTBT. That makes a decision to test easier for him. ACT: Given that, is there any feasible way to prevent the resumption of Russian testing? Perry: The best thing we could do is to ratify the CTBT. That would make the political costs substantially higher for Putin. That might lead him to decide then not to test. ACT: Following up on the issue of U.S. ratification, even if the United States were to ratify the CTBT tomorrow, entry into force could still be years away if not longer. What steps should the United States pursue in the near term to strengthen the global moratorium against nuclear testing, especially in light of your belief that Russia may be on a path to the resumption of testing? Perry: I think it’s very important to get China to ratify. I do believe that our ratification will put very strong political pressure on them to ratify, and I believe that they would. If that happens, then I think we’ve got a pretty good case to go forward, pushing to bring the treaty into force even if, let’s say, North Korea does not ratify. I think a good argument can be made that we should not let an outlier like that stop the whole treaty from coming into force, but that decision is still ahead of us. The first step is to get the U.S. to ratify, then put the pressure to China, and then I think we should go forward with a program to try to bring the treaty into force even if the outliers do not ratify. ACT: Shifting to another treaty, the United States has accused Russia of being in violation of the Intermediate-Range Nuclear Forces [INF] Treaty. Russia has denied the accusation and charged the United States with being in violation of the agreement. How do you evaluate the situation? Perry: I don’t have enough data to make a judgment on whether or not Russia is in violation. That’s what our government has stated, and that’s all I have to go on. But I do not have an independent judgment of that. ACT: Do you have any thoughts on how to get out of the impasse that the two countries seem to be in with regard to this violation alleged by the United States? Perry: On that point, as well as other points of contention we have with Russia, what is badly needed is serious and meaningful dialogue with Russia, which we do not have today, at high levels. So I think it’s imperative for the United States to begin serious dialogue with Russia. It’s imperative for both countries to take the political step of high-level and serious dialogue. Even if there is disagreement, the dialogue is not only desirable, but necessary. ACT: Okay, is there anything specific with regard to the INF Treaty, or is it all part of the larger picture? Perry: No, it is a part of the larger picture. I think it is very desirable to keep that treaty in force. But the bigger problem is the bad relations between the United States and Russia, of which this is just a symptom, I think. ACT: In a recent appearance in Washington, you said that any reasonable definition of deterrence would not require intercontinental ballistic missiles [ICBMs], the land-based leg of the U.S. triad. You argue that ICBMs are unnecessary and destabilizing because they are an attractive target and entail a greater risk of accidental launch than other nuclear weapons. How would you propose to phase out the ICBM leg of the triad? Perry: I simply would not recapitalize it. If we decide to keep the ICBMs in the force, then in a number of years, not very many years, we have to begin to focus on building the replacements for the first ICBMs. So instead, I would simply let the present force phase out. ACT: What would you say to the senators and representatives of those states in which U.S. Minuteman III ICBMs are based who say that the missiles and associated bases are an essential part of the U.S. deterrent and vital to the economies of their states? Perry: I don’t believe it. They’re not an essential part of the deterrent. We have ample deterrence from the submarine force, and certainly if you add the bomber force to that, that’s an overwhelming deterrence force. So I cannot understand the argument that we also need ICBMs for deterrence. We might need ICBMs for other reasons, for geopolitical reasons, but not for deterrence. Any sane nation would be deterred by the incredible striking power of our submarine force. ACT: You have said that a desire to maintain parity with the Soviet Union and later Russia has been and continues to be a main driver of the size of the U.S. nuclear arsenal and that this approach doesn’t make sense. Why do you believe that parity should no longer guide U.S. force requirements? Perry: Because I don’t think it has anything to do with deterrence. I think deterrence has to do with our power and our ability to strike. The fact that we need to have, for example, ICBMs in the force, which is a kind of a parity, just doesn’t hold up. I don’t understand the argument that we need to have an equivalent number of weapons and equivalent type of weapons as Russia as an argument for deterrence. That is a political argument, and I understand the political argument. But that’s not an argument for deterrence. ACT: Do you have in mind a rough number of [warheads], what a U.S. nuclear force should look like, should be composed of? Perry: Certainly less than the numbers we have now. But I also understand the political argument that as we bring the numbers down, we ought to see if we can find some way of having the Russians come down at the same time, whether that be by a treaty or by some sort of a mutual understanding. ACT: I want to go back to the larger point about U.S.-Russian relations that you raised before. As you were saying, the relations now are at a very low point. Is there anything that Russia and the United States and maybe other countries could do to improve the situation? Perry: We have a number of points in common with Russia. So I would think our diplomacy would emphasize trying to strengthen cooperation in the areas in which we feel the need to cooperate, the desirability of cooperating. For example, we did cooperate on the Iranian agreement, and that was a big plus. We certainly have a need to cooperate in the field of terrorism and especially nuclear terrorism, and there are certainly trade areas where we could find a reason for cooperating as well, as we did in the Cold War. We should look at issues of mutual importance—certainly preventing nuclear catastrophe has to be highest on that list—and find a way of cooperating in those areas without having to agree with the Russians or having even political accords with Russians in other areas. ACT: What would an agreement on nuclear terrorism look like that goes beyond what’s already currently agreed under the Global Initiative to Combat Nuclear Terrorism? What more would they be able to do? Perry: One of the principal actions would be protecting fissile material on a global basis. The program that the president has initiated, the nuclear [security] summit [process], I think is an excellent example of what we can do along those lines. I certainly applaud the administration for their initiative on the nuclear summit and their continued pursuit of it. I think that all we can be sure of at this point is that there will be one more nuclear summit, the one in Washington next spring. So I would put the highest priority on getting major agreements at that summit meeting, and that could be facilitated by prior discussions with the Russians on what one can mutually hope to accomplish at that nuclear summit. Certainly it’s as much for the security benefit of Russia as it is for the United States to solve nuclear terrorism. So it should be a very powerful argument for working together to get major steps forward on the nuclear summit upcoming this spring. It’s one thing just to go to the meeting and talk. It’s another thing to go to the meeting with a plan worked out with the Russians ahead of time on what the two of us might be able to accomplish to help get the fissile material controlled in other countries. So I think I would put that number one on the list of areas of cooperation with the Russians that can greatly reduce the danger to both of us of nuclear terrorism. ACT: Do you believe that that’s realistically achievable in the here and now? Perry: I certainly do. We have still a few months where we can be meeting and talking with the Russians. So we could have a solid program of accomplishment that we mutually agree on that we would like to see come out of that possibly last summit meeting. ACT: Switching gears slightly, we understand that you have recently visited a number of U.S. allies in Europe and East Asia to discuss nuclear and other related security policy issues. In your conversations with officials, did they express any concerns about the credibility of the U.S. nuclear deterrent in light of Russia’s aggression against Ukraine and increasing Chinese assertiveness in its near abroad? Perry: No, nobody raised that question with me. It seems clear to me that any informed and objective observer would see that our nuclear deterrent is quite powerful. The nuclear deterrent, however, does not prevent the Russians from doing many things that are not directly nuclear related. I always have believed and I think events have demonstrated that nuclear deterrence is pretty well limited to deterring a nuclear attack, not deterring many other objectionable actions. During the Cold War, Russia took many actions that were very highly objectionable to us, and our nuclear deterrent did not stop them from taking those actions. Arguably, all that U.S. nuclear weapons have done is stop the Russians from carrying out a nuclear attack on us. ACT: In any of your conversations, did any officials from allied nations take a position on whether the United States can further reduce the role and number of nuclear weapons in its national strategy? Perry: The only such issue I have come across, particularly with Japan, is the extent to which our nuclear deterrence is specific to Japan—that is, whether it involved nuclear weapons specifically designed to protect Japan as opposed to general deterrence. That has to do with maintaining shorter-range nuclear weapons. But there’s never been a question that I’m aware of as to whether our long-range nuclear weapons were capable of deterrence. This was an issue we had, as you may remember, back during the Cold War. Even though we had overwhelming capability in our strategic nuclear forces, the Germans felt it necessary to have nuclear forces based in their country to guarantee our deterrence to them, extended deterrence. That was, I think, a misguided judgment on the part of the Germans. But they certainly felt strongly, and as a consequence, we did keep medium-range nuclear weapons based in Germany to give them the confidence of our deterrence. I don’t see that lack of confidence today, though. ACT: As you write in your book, progress on nuclear disarmament has slowed since the early days of President [Barack] Obama’s first term. How can multilateral disarmament move forward when the forums for multilateral diplomacy, such as the Conference on Disarmament [CD] and the nuclear Nonproliferation Treaty [NPT] review conference, appear to be in a stalemate? Perry: I think they are in a stalemate. I would not say that arms negotiations has slowed; I would say it has stopped. I don’t see any significant action between the U.S. and Russia today that has any chance of moving towards another treaty. I know that many people in the U.S. government that would like to do that and are trying to move in that direction. But they haven’t gotten any two-sided discussions that seem to have any significance going forward yet. I’d say this is not the fault of the U.S. officials; it’s just that Russia isn’t showing any interest in moving forward in nuclear arms agreements. So that’s one of the main issues ahead of us, and if we can get a stronger positive relation with Russia on other issues, we should also be working with them to try to get forward motion again on a follow-on to New START [the New Strategic Arms Reduction Treaty]. ACT: I was also asking about multilateral diplomacy, not just the bilateral U.S.-Russian interaction. Is there any way to stimulate movement in the CD, to deal with the issues that have divided the NPT members at their last review conference, issues like that? Who needs to take action to do that? Is there anyone besides the U.S. and Russia who can move that process or help move that process? Perry: Probably yes, but I don’t have a good answer to your question. ACT: In your book, you write that the development of North Korea’s nuclear weapons program over the past 15 years “is perhaps the most unsuccessful exercise of diplomacy in our country’s history.” What could the George W. Bush and Obama administrations have done differently to avoid this outcome? Perry: Well, we had a negotiation going with the North Koreans in 2000, which was very close to an agreement. When the administration changed, the Bush administration simply cut off any discussions with the North Koreans. That was demonstrated to be not an effective way of dealing with the North Koreans, but it didn’t seem to me to be a wise way even before we saw the outcome. We should have kept the dialogue going, and that was a big mistake, I think. ACT: With regard to the Obama administration’s approach to North Korea, how would you assess its strategy toward reducing the threat posed by North Korea’s nuclear program? Perry: It evidently has not been effective. But I would say, somewhat in their defense, that by the time they got into office, North Korea already had nuclear weapons. In 2001, North Korea did not yet have nuclear weapons. There was an opportunity for a much easier negotiation; it was much more feasible to negotiate with them not to develop nuclear weapons and not to produce nuclear weapons. Once they had nuclear weapons, the negotiation got very much harder. Now the administration had to argue with them to give up what they already have, and so I think the opportunity that was lost was between 2001 and 2008. That was when we had the chance to stop the North Korean nuclear program. ACT: Given where we are now, what realistically in your view can be achieved at this point to stop and perhaps roll back North Korea’s nuclear weapons program? Perry: I don’t have any better advice on that than Sig Hecker, the former director of Los Alamos National Laboratory, has given. He said that, given that they already have the nuclear weapons, making our position in the negotiations that they must give them up is a very hard negotiation. So he argues instead to put that aside for the time being and take a more limited goal in diplomacy. It’s what he calls the three noes, which is no new nuclear weapons, no more nuclear weapons, and no selling of nuclear weapons or technology.1 Those are the three noes that he states, and he offers some positive incentives we might give for that to happen. He said that should be the basis of the negotiation. If we ever succeed in that, then we can take the next step in trying to get them to roll back their arsenal. But as far as I can determine, we have not proceeded along the lines of those three noes. That was a tactical approach that Sig had that I supported at the time and still do. I think it was a reasonable approach to dealing with the North. ACT: I want to go back to the issue of nuclear terrorism, which we touched on briefly a few minutes ago. You wrote in your book that the threat of nuclear terrorism is the “gravest threat of our time.” Why do you think that’s the case? Perry: The threat of nuclear weapons is the greatest threat of our time, and nuclear terrorism is the most likely form of it. If you consider the deterrent we have to somebody attacking us with nuclear weapons, it’s very powerful. But we have no deterrent to nuclear terrorism, and it’s relatively easy to imagine how such an attack could happen. So it’s not that it’s as catastrophic as a nuclear war; it’s just it has a much higher probability. ACT: You mentioned the nuclear security summit process. How successful do you think that’s been in addressing this problem of nuclear terrorism? Perry: I think it’s the most effective thing we can do because the most likely way for a terrorist to get a nuclear weapon is to get the fissile material and then build a crude, improvised bomb himself. So the biggest obstacle to a terrorist getting a nuclear weapon is getting the fissile material, and the nuclear summit process is specifically addressed to putting fissile material all over the world under much better control or eliminating it. ACT: So as a result of the nuclear summit process, do you feel less troubled or less concerned than you did, say, seven years ago before the process started? Perry: Yes, I do. I mean, there are just fewer opportunities now for a terrorist group to get ahold of the fissile material. But I don’t feel by any means relaxed about this because there’s still a lot of it out there not under really good control. That’s why I think this final nuclear summit next year is so important. It gives us an opportunity to take even stronger actions than we’ve taken in the previous summits, including the opportunity for setting an international standard for the control and protection of fissile material. ACT: What should be done to continue to focus high-level attention on the problem after the summit is completed? Perry: I’m sorry to say that the thing that would really give high-level attention to the problem is a nuclear terrorist incident. Then what had once seemed to be a theoretical possibility will become real. All I’m hoping and working for is that we can find the actions to stop nuclear terrorism without having that triggering event. ACT: On the question of the likelihood, periodically people say within so-and-so many years there’s such-and-such a percentage chance of a nuclear terrorist incident taking place. People have been saying that for the last 30 years or so, and there hasn’t been one. So what do you think is the likelihood and over what time period? Perry: I’ve never been able to put a number on it. But I would say it is quite feasible for it to happen in the next year, and I don’t see the actions we have now to keep that from happening as strong enough to give me any comfort that it’s not going to happen. It could happen next year; it could happen the following year. It’s a matter of the terrorist group putting the priority on doing that and putting the resources and the effort to making it happen. But I just don’t know how to put a number on it, a probability on it. Certainly, the likelihood of that happening is much higher than any of the other nuclear catastrophes. Perry: Number one, he could put a major effort into making this last nuclear summit a big success. That would be my number-one priority, I think, particularly since it addresses the threat I’m most concerned about, which is nuclear terrorism. Secondly, if he can get a renewed serious dialogue with the Russians, I would try to get a follow-on to New START under way. Third, a major push on the CTBT, however he could go about doing that, to try to get that ratified before he leaves office. That is a very steep uphill climb, and I don’t want to be optimistic. But as I recommend things to the administration, I do recommend that they make a major effort still to try to push that through, not to give up on the ratification of the CTBT. Many people will say that’s an impossible dream, but I would like a major push to achieve ratification. ACT: Thank you very much for your time; we really appreciate it. 1. 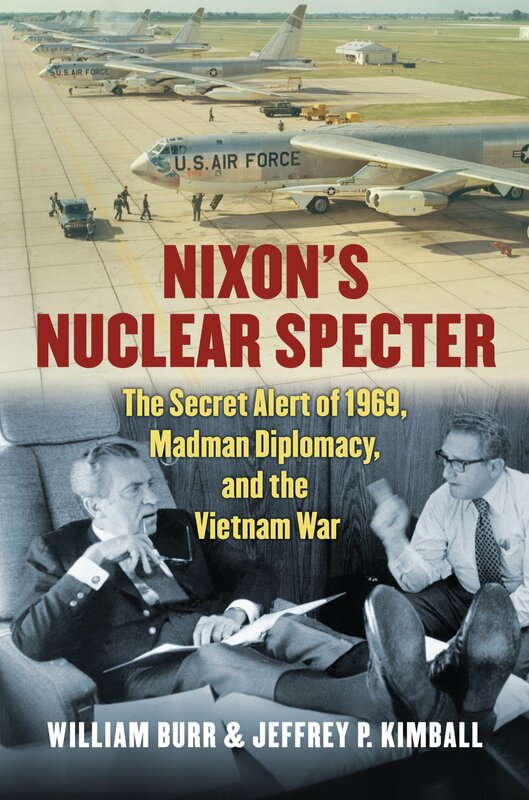 See, for example, Siegfried S. Hecker, “North Korea Reactor Restart Sets Back Denuclearization,” Bulletin of the Atomic Scientists, October 17, 2013, http://thebulletin.org/north-korea-reactor-restart-sets-back-denuclearization. 2. Office of the Press Secretary, The White House, “Remarks by President Barack Obama, Hradcany Square, Prague, Czech Republic,” April 5, 2009. The United States is planning to purchase a new fleet of nuclear-capable air-launched cruise missiles that will be far more advanced than the missiles they are slated to replace. The United States is planning to purchase a new fleet of nuclear-capable air-launched cruise missiles (ALCMs) that will be far more advanced than the ones they are slated to replace, according to members of Congress and other sources, raising questions about the plan’s consistency with a pledge made by the Obama administration not to provide nuclear weapons with new capabilities. The development of the new missile also has sparked a debate about whether it could be more “usable” than the existing ALCM, thereby lowering the threshold for when the United States might consider using nuclear weapons. 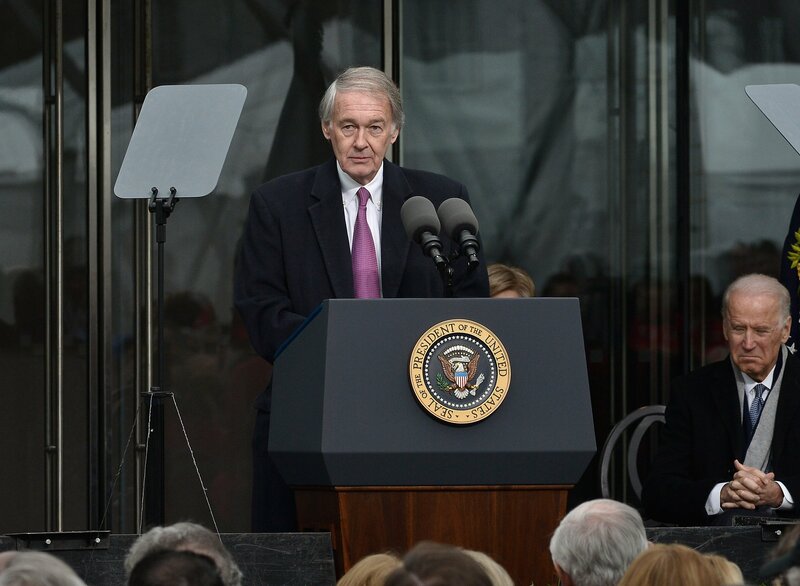 In a Dec. 15 letter to President Barack Obama urging him to cancel the new cruise missile, also known as the long-range standoff weapon, Sen. Ed Markey (D-Mass.) and seven other senators wrote that the “proposed…missile is a significantly altered version” of the existing ALCM. The Defense Department elaborated in a Jan. 5 email. The new missile “will use a refurbished version of the current ALCM warhead” that “will not support new military missions or provide for new military capabilities,” said Army Lt. Col. Joe Sowers. Rather, by developing the new weapons system, the United States “will preserve existing military capability in the face of evolving threats,” Sowers said. The NPR Report’s prohibition on the development of new military missions and capabilities specifically refers to improvements to nuclear warheads, not their delivery systems. 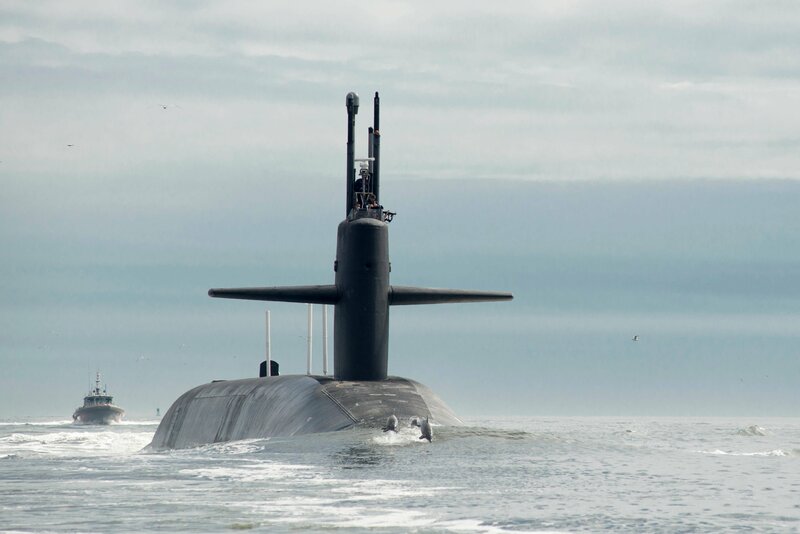 Nuclear-armed ALCMs are part of the U.S. nuclear triad of strategic delivery systems consisting of land-based missiles, submarine-launched missiles, and long-range bombers, which can carry ALCMs and gravity bombs. ALCMs, which are currently carried by the B-52H long-range bomber, are standoff weapons that can attack targets at distances beyond the range of air defense systems. The Air Force’s lone remaining ALCM variant is the AGM-86B, up to 20 of which can be carried by a B-52H bomber. Multiple life-extension programs have kept the missile, which was first fielded in 1982 with a planned service life of 10 years, in service for more than 30 years. The Air Force is planning to retain the missile until 2030. Current Air Force plans call for the procurement of about 1,000 new nuclear-capable missiles, roughly double the size of the existing fleet of ALCMs. (See ACT, June 2015.) Government and think tank estimates suggest that the total cost of building the new missile and refurbishing the associated warhead would be about $25 billion over 20 years. Although the Defense Department has declined to comment publicly on the capabilities of the new ALCM, the limited information the department has released, as well as information from several other sources, points to a missile that will have new capabilities. In a Feb. 25, 2015, request for information to contractors on the desired performance of the new missile’s engine, the Air Force said it was seeking potential improvements in the performance of the current engine technology, including a possible supersonic option, which would allow the missile to fly at a velocity of at least 768 miles per hour. The current ALCM can travel at a speed of approximately 550 miles per hour. Pentagon officials also have said that the new fleet of cruise missiles will be compatible with not only the B-52H, but also the B-2 and planned long-range strike bombers. It is not clear if deploying the missile on the more advanced B-2 and long-range strike aircraft would allow those planes to hit targets that the B-52H could not reliably reach. Such features would comport with the Defense Department’s primary rationale for the new missile, namely to ensure that the bomber leg of the triad can strike targets in the face of increasingly sophisticated adversary air defenses. The department has expressed concern that the current ALCM is losing its ability to continue to penetrate these defenses in addition to becoming increasingly unreliable. Some former officials and experts say it should not be surprising that the new cruise missile will be more advanced than the existing ALCM. In a December email exchange with Arms Control Today, Al Mauroni and Mel Deaile of the Air Force Center for Unconventional Weapons Studies said they would expect the Defense Department “to improve military capabilities over past, aging weapon systems that continue to be fielded well beyond their originally-designed service life.” Mauroni and Deaile added that their comments did not necessarily reflect official U.S. positions. Regarding the proposed life extension program for the ALCM warhead, known as the W80-4, the source who has been briefed said a goal of that program is to permit “greater flexibility in actually picking” the desired yield. The ALCM warhead is believed have a built-in option to allow detonation at lower or higher yields. The source said the briefings made it clear that the Pentagon is envisioning potential uses for the new cruise missile that go beyond “the original mission space” of the ALCM. For example, the source said that, in the event of a major conflict with China, the Pentagon has talked about using the new missile to destroy Chinese air defenses as a warning to Beijing against escalating the conflict further. 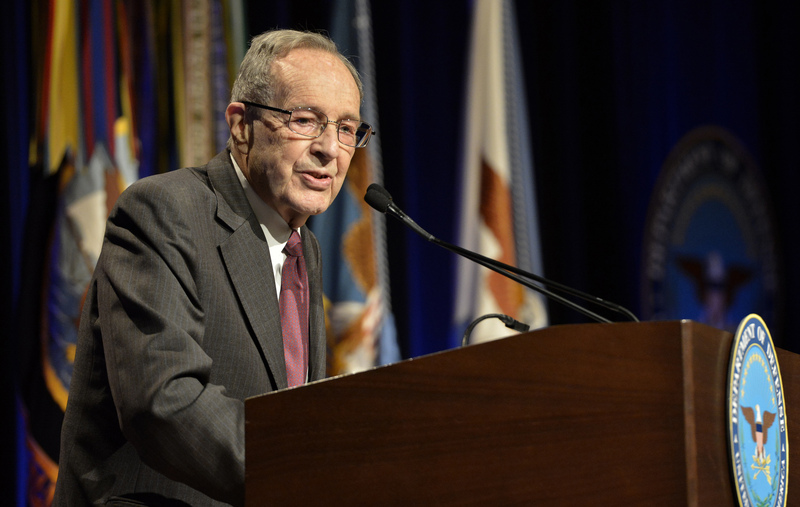 In testimony to the strategic forces subcommittee on April 15, 2015, Robert Scher, assistant secretary of defense for strategy, plans, and capabilities, said an additional rationale for the new ALCM is to preserve the president’s ability to respond “to a limited or large-scale failure of deterrence,” but did not provide details. A Senate Republican staffer offered a different view in a Dec. 15 email. In developing the new missile, the United States should be prepared to match “Russia’s new emphasis” on the use of tactical nuclear weapons “to de-escalate a potential conflict” and “force developments by other nuclear powers,” the staffer said. In a Dec. 17 interview, a different congressional staffer said it is not yet clear what features the new cruise missile and associated warhead will have, but expressed concern that the Defense and Energy departments will choose features that make the weapons system “more usable,” thus blurring the line between nuclear and conventional weapons. Correction: The original version of this article mischaracterized the party affiliation of one the signers of the letter organized by Sen. Ed Markey. The signers were Markey, six other Democratic senators, and Sen. Bernie Sanders, an independent from Vermont who caucuses with the Democrats. President Barack Obama promised in the 2010 “[NPR] Report that his administration would reduce the number, role, and salience of nuclear weapons in U.S. defense strategy. Congress failed to pass any new appropriations bills for fiscal year 2016, raising questions about whether the United States can carry out the nuclear weapons activities planned for the year. Congress failed to pass any fresh appropriations bills for fiscal year 2016, raising questions about whether the Defense and Energy departments can carry out the nuclear weapons sustainment and modernization activities they have planned for the year. In the fiscal year 2016 budget request, the Obama administration requested a major funding hike above the previous fiscal year for programs to sustain and to rebuild nuclear-armed missiles, submarines, and bombers and their associated nuclear warheads and supporting infrastructure. (See ACT, March 2015.) If these programs are not funded at the requested levels, the result could be schedule delays and cost increases. Pentagon leaders already are issuing warnings about the danger to U.S. security if Congress passes a year-long continuing resolution that would extend the previous year’s funding levels. “[T]he longer a continuing resolution is, the worse it becomes, eventually resulting in a $38 billion deficit in resources for our military if Congress chooses to pursue this path for a full year,” Defense Secretary Ash Carter said on Sept. 16 at the Air Force Association’s annual conference in National Harbor, Md. Overall, the administration requested $561 billion for national defense in fiscal year 2016, which includes the Defense Department’s regular budget activities and the Energy Department’s nuclear weapons programs. This spending proposal is roughly $38 billion above the cap in the 2011 Budget Control Act and $40 billion above the fiscal year 2015 enacted level. The impact of a year-long continuing resolution on the National Nuclear Security Administration (NNSA), a semiautonomous agency of the Energy Department, would depend on whether Congress makes an exception from the general no-increase constraints of a continuing resolution so that nuclear weapons funding can increase above the fiscal year 2015 level, a congressional staffer told Arms Control Today in a Sept. 16 e-mail. The NNSA has been successful in seeking such an exception in the past, the staffer said. As Arms Control Today went to press, Congress appeared poised to approve a short-term continuing resolution that would extend the previous year’s funding levels for a few months, buying time to negotiate new funding levels for fiscal year 2016 later this year. The passage of higher funding levels in fiscal year 2016 would likely require changing the spending caps set by Congress in the Budget Control Act. But Republicans and Democrats have yet to reach agreement on a total budget for discretionary domestic and military spending. If Congress fails to pass new funding after a short-term continuing resolution, it could opt to pass a continuing resolution for all of fiscal year 2016. Air-launched cruise missiles are carried by the B-52 long-range bomber and can attack targets at great distances. The NNSA is requesting $195 million to begin refurbishing the existing cruise missile warhead that would be delivered by the new missile. That is an increase of $186 million above the fiscal year 2015 appropriation of $9.4 million. The Air Force is seeking $36.6 million in fiscal year 2016 for research and development for a long-range standoff weapon, more than 10 times as much as the $3.4 million that Congress appropriated for fiscal year 2015. But the congressional staffer was skeptical of the NNSA’s warning, which the NNSA has conveyed to Congress. “I don’t think anyone believes” that a short-term continuing resolution and associated delay to the program “is problematic,” he said. The Air Force had no specific comment on the impact of a continuing resolution on the development of the new cruise missile. “It is hard to say exactly which programs will be affected until we see the language” of the continuing resolution, Air Force spokeswoman Ann Stefanek said in a Sept. 17 e-mail. In their respective fiscal year 2016 defense appropriations bills, the Senate and House appropriations committees approved funding for the new missile at levels below the administration’s $36.6 million request. Senate appropriators provided $14.1 million while the House provided $27.5 million. According to the reports accompanying the Senate and House versions of the bills, the appropriators approved the smaller amounts because they believed that the Air Force requested more money than it could spend on the program in fiscal year 2016, not because of a lack of faith in the program. The Defense Department’s plan to modernize the U.S. nuclear arsenal will “roughly double” the percentage of the budget allocated to nuclear weapons, according to a senior department official. The Defense Department’s plan to modernize the U.S. nuclear arsenal “is a very expensive proposition” and will “roughly double” the percentage of the budget allocated to nuclear weapons for a period of time during the 2020s and 2030s, according to a senior department official. In testimony before the House Armed Services Committee on June 25, Deputy Defense Secretary Robert Work said the cost to build and sustain new nuclear missiles, submarines, and bombers and to make needed improvements to nuclear command and control systems is projected to average $18 billion per year from 2021 to 2035 in constant fiscal year 2016 dollars. When combined with the cost to sustain the current arsenal as the new systems are built, this will increase spending on nuclear weapons from the current level of approximately 3 percent of the overall defense budget to about 7 percent, Work said. The projected increase “will require very hard choices and increased risk in some [non-nuclear] missions without additional funding above current defense budget levels,” Work added. The Defense Department and the Energy Department’s semiautonomous National Nuclear Security Administration are required by law to submit a joint annual report to Congress that includes 10-year budget estimates for nuclear forces and their supporting infrastructure. The most recent joint report, submitted to Congress in May 2014, projected $298 billion in spending between fiscal years 2015 and 2024 in then-year dollars, according to a July assessment by the Government Accountability Office (GAO), the investigative arm of Congress. Bloomberg, however, reported on Aug. 17 that, apparently unbeknownst to the GAO, last year’s joint report and the 2015 version, which has yet to be publicly released, misstated the 10-year cost estimate for the long-range strike bomber program. The Air Force is developing a new nuclear-capable bomber to complement and then replace the existing B-52H and B-2A aircraft. Whereas the May 2014 joint report included a 10-year estimate of $33.1 billion in then-year dollars for the new bomber, the Air Force is now saying the correct number should have been $41.7 billion, according to Bloomberg. The Air Force told Bloomberg that the estimated cost of the program between fiscal years 2016 and 2025 is also $41.7 billion, a reduction of nearly $17 billion from the $58.4 billion figure cited in the original version of the 2015 joint report submitted to Congress. In an Aug. 24 press conference at the Pentagon, Air Force Secretary Deborah Lee James said the misreporting of the bomber cost to Congress was a “regrettable error” and blamed a lack of “coordination” within the Air Force and the Office of the Secretary of Defense. James did not provide an explanation for why the two corrected estimates are now the same. Earlier on Aug. 24, Rep. Jackie Speier (D-Calif.), the top Democrat on the House Armed Services oversight subcommittee, sent a letter to James, expressing concern about “recent reports indicating massive discrepancies” in 10-year cost estimates for the new bomber. She called on the Air Force to detail the steps it is taking “to ensure the accuracy” of future cost estimates for the program. Amid questions about the credibility of the Defense Department’s budget estimates for nuclear weapons, an August report published by the Center for Strategic and Budgetary Assessments sought to provide a more detailed, long-term assessment of nuclear costs and put them in the context of overall national defense spending. Written by Todd Harrison and Evan Braden Montgomery, senior fellows at the center, the report estimated that sustaining and modernizing nuclear weapons and their supporting infrastructure will cost $222-253 billion in then-year dollars over the 10-year period between fiscal years 2015 and 2024 and $836-963 billion over the 30-year period between 2014 and 2043. Harrison and Montgomery’s estimate is lower than the government’s projection due to different assumptions about how to count nuclear costs. For example, they attribute the bulk of the cost of acquiring and operating nuclear-capable bombers to conventional needs and only a fraction to the nuclear mission. The Pentagon includes the full cost of the bombers in its estimate of nuclear costs.